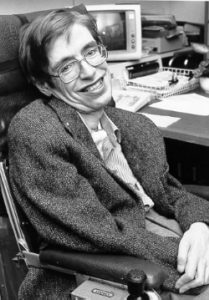 Defying the odds and living nearly 55 years with ALS, Hawking was an inspirational individual who effectively used quadriplegic assistive technologies to not only excel in life, but to become one of the world’s most renowned physicists. We salute Hawking for being an encouragement to others, especially quadriplegics who looked to him to for motivation. The Accessibility Services (ASI) team is passionate about helping quadriplegics achieve independence. We customize environmental control units and speech generating devices to meet the needs of each individual we serve. And, as assistive technology for quadriplegics continues to evolve, you can count on ASI to stay one step ahead of the curve. Stephen Hawking showed us all that nothing is impossible. He also demonstrated how quadriplegics can not only lead independent lives with assistive technology but can literally reach for the stars and beyond.